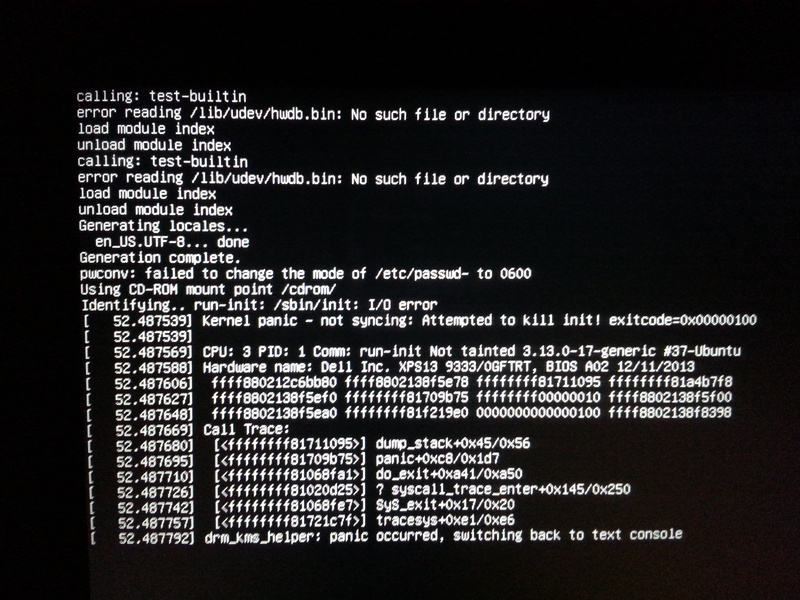 I'm getting a kernel panic when I try to boot the latest daily image. It did work a couple of days ago(can't remember exact date, but I would guess 9th or 10th of March). I've tried booting it as UEFI and legacy mode, with the same result. I attached an image of the error. For both these kernels, you need to install both the linux-image and linux-image-extra .deb packages. I've attached a picture of the log as described in the link you gave me. Yes, you can always boot a prior kernel, but selecting it from the GRUB menu. Hold down (right) SHIFT to display the GRUB menu during boot. In certain cases, pressing the ESC key may also display the menu. I was able to start both kernels with 12.04. I could also start todays daily image (20140318) from a live-usb. So I guess it's resolved for now. I'll check out images reguraly until release in case it would break again. With the recent release of this Ubuntu release, would like to confirm if this bug is still present. 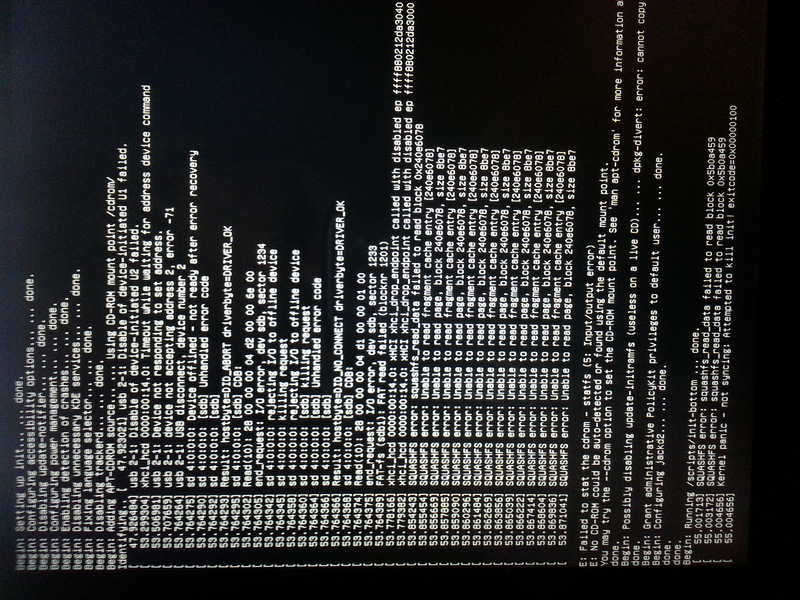 Please test again with the newer kernel and indicate in the bug if this issue still exists or not.